Worm guard has invaded the competition scene of late, and it is one of the more annoying types of guard to be caught in (some would argue the most annoying). Here, you'll get enough information so that you can start entering into the position and bothering your training partners to no end. Very likely, you'll find that your guard is extremely difficult to pass if you're doing the technique correctly, and as a result, you're going to end up getting lots of sweeps out of this effort. Start just like you're entering into lapel guard (if you haven't seen it yet, be sure to review this tutorial first). 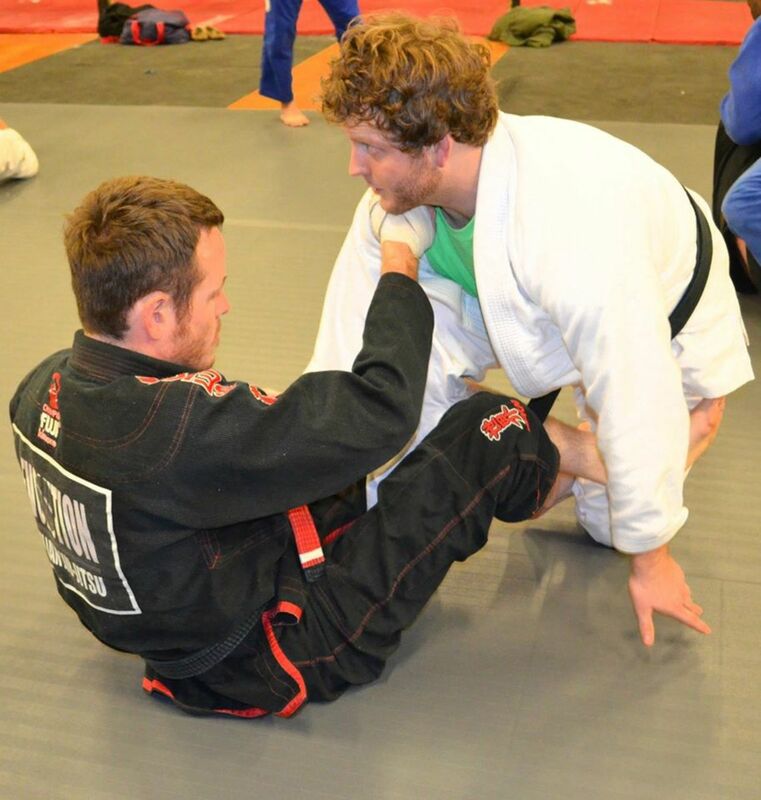 Allowing your right foot to slip through in between your partner's lapel and hip, this is typically when your partner will step back in order to avoid the lapel guard. Next, sit up and feed the lapel through their legs and around to the other side, to your left hand, waiting behind your partner's legs. 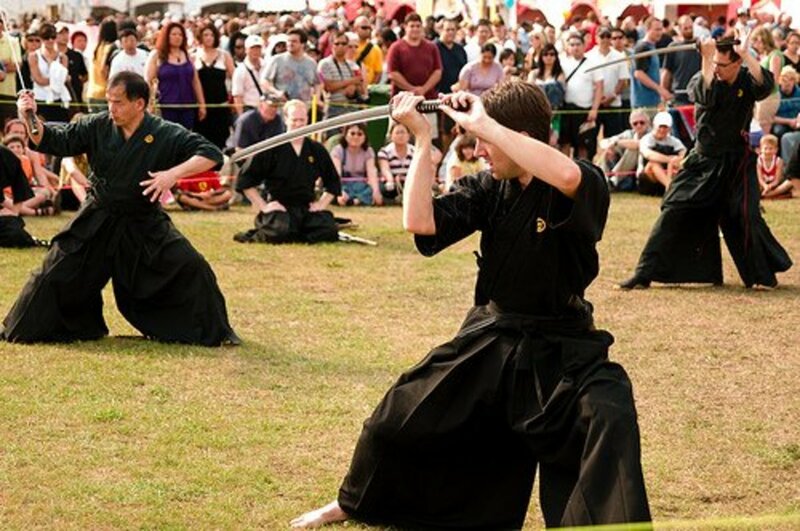 This is very similar to a sitting up De La Riva guard. Now grab the lapel with your right hand, palm down, making sure your hand is on the back side of your partner's legs. Your partner should be completely trapped now, unable to get their leg free, or to move your right foot down or across their body. Next up: Sweep to the mount, as described below. Here's a better look at the finishing worm-guard position. The lapel is fed through, and the right hand is gripping palm down, thus securing the right leg completely in the snare of this insane guard. Start the sweep by building up your base to your left elbow, and then pull your left leg (the bottom leg) back, and extend your right leg forward. 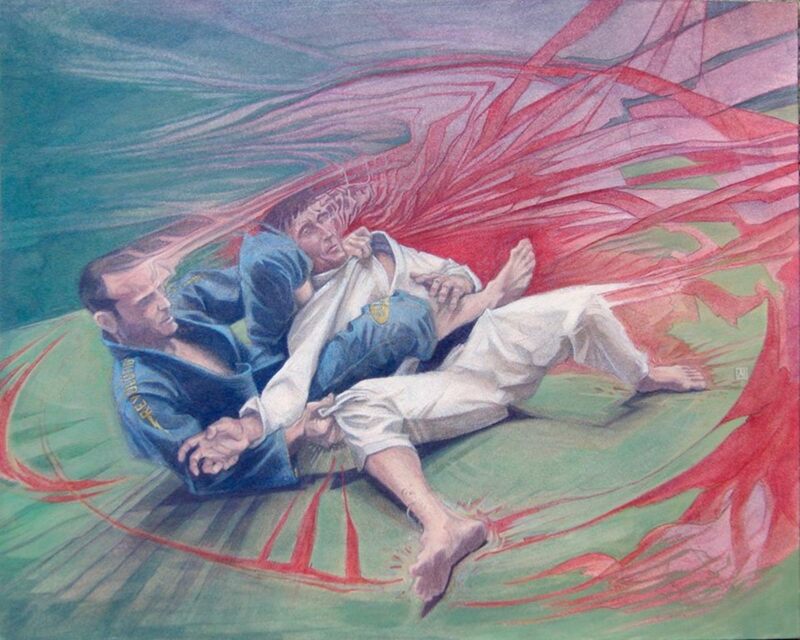 This is not unlike a scissor-sweep motion, something most jiu-jitsu practitioners are familiar with (if you're not familiar with a scissor sweep, you probably shouldn't worry too much about worm guard at this stage in your game). The one key difference here is that you can lift your hip off of the ground due to the built-up base from earlier, so you have a great deal of leverage. If you drop your hips down now, you should end up on top in the mount. Here is a "full speed" view (I use quotation marks because this is still slowed down considerably from competition or even rolling speed, but you can see the main idea behind the position really quickly). Secure the worm guard by trapping your own right foot in between your partner's lapel and hip, and then thread the lapel through their legs, feeding from your left hand to right hand (palm down). Go for the sweep by first building your base up, and then chopping your partner down, like a scissor sweep. Follow to the full mount position, where you have tons of attack options. What's the most annoying type of guard to be in? I know that the worm guard can be a bit daunting at first, and that once you get into the position, you still might not be able to sweep your partner. Never fear; we'll address those concerns in future tutorials. Enjoy the worm guard techniques, don't be afraid to experiment on your own at the gym, and, most of all, have fun while you're training!